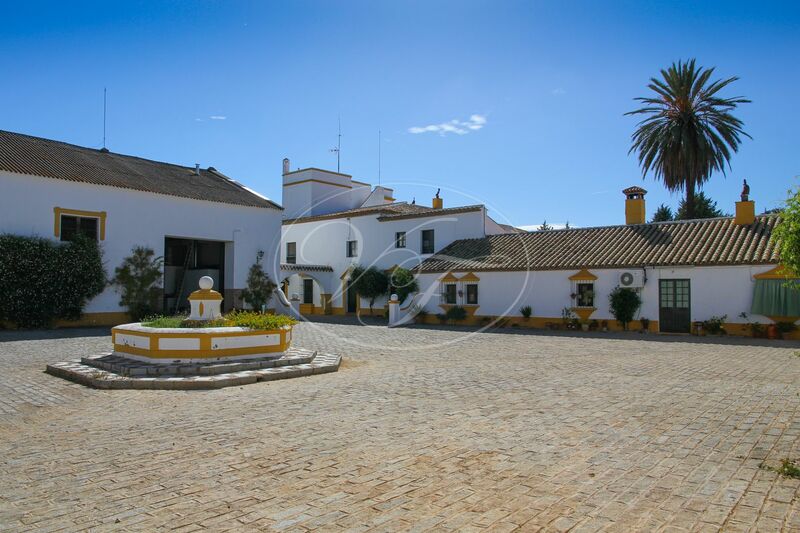 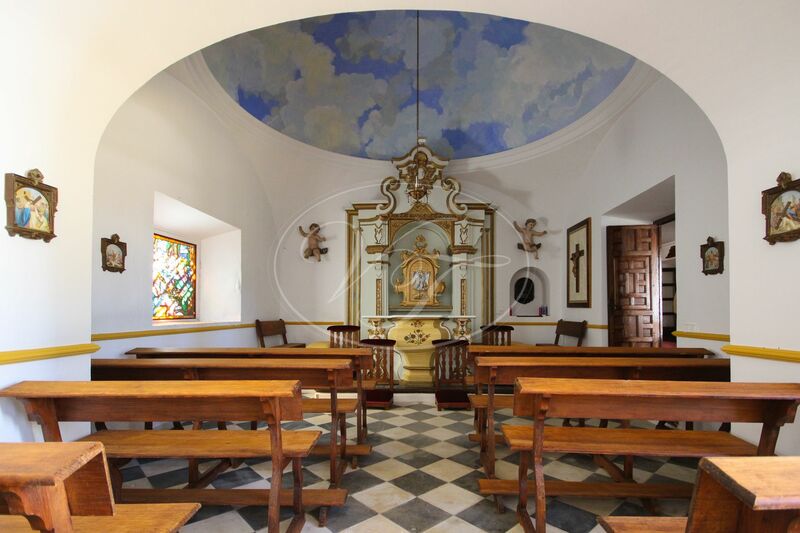 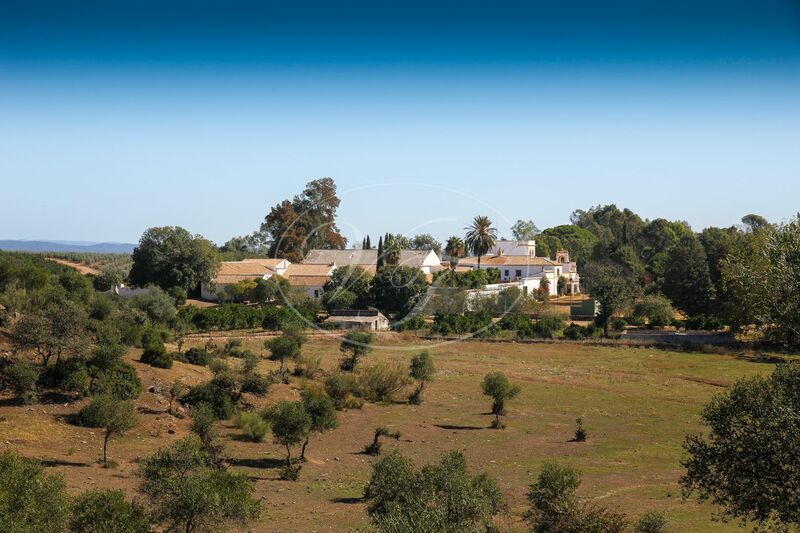 Sensational Cortijo, hacienda, a large country estate with over 600 hectares of hunting land for sale in between Seville and Córdoba, inland Andalusia. 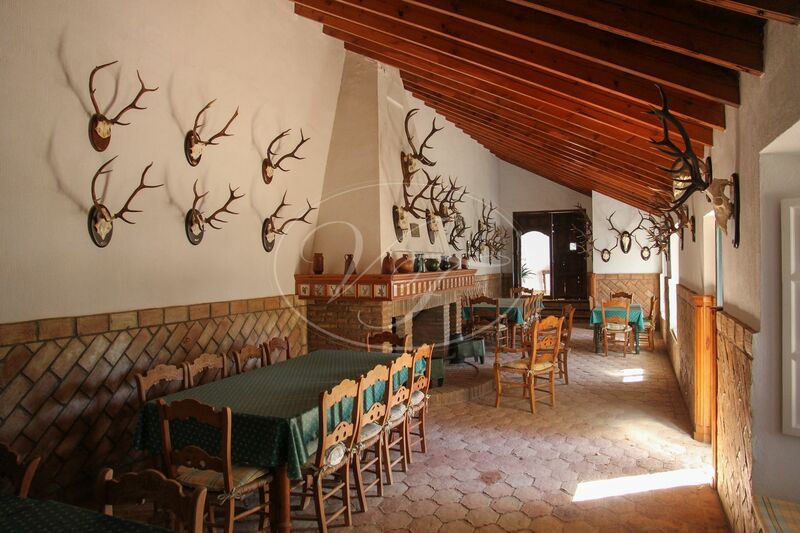 Deer and wild boar. 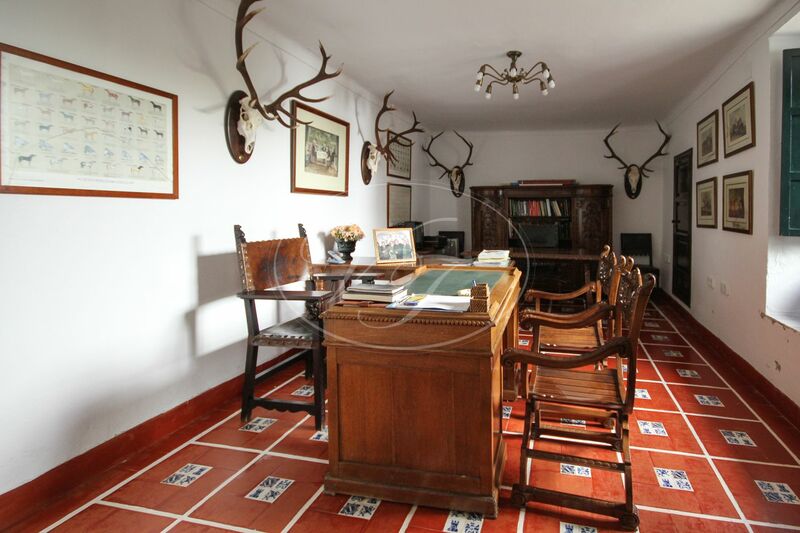 The property has a private hunting license, "Coto de Caza". 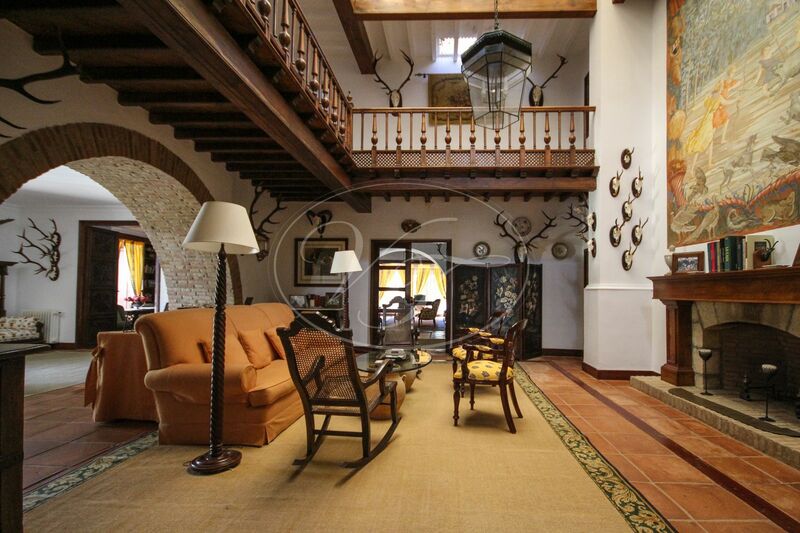 A unique location for private residence, clinic, country hotel, rehabilitation facilities, or hunting estate. 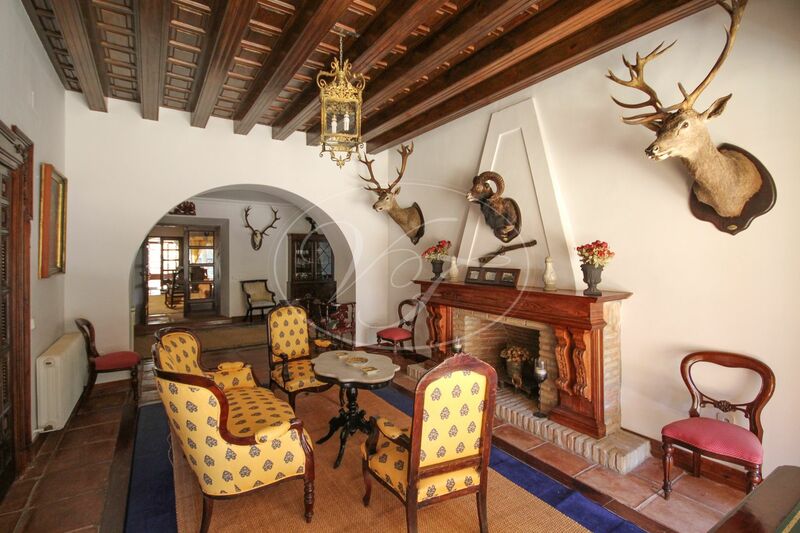 Oozes the authentic charm and grandeur of true Andalusian country life. 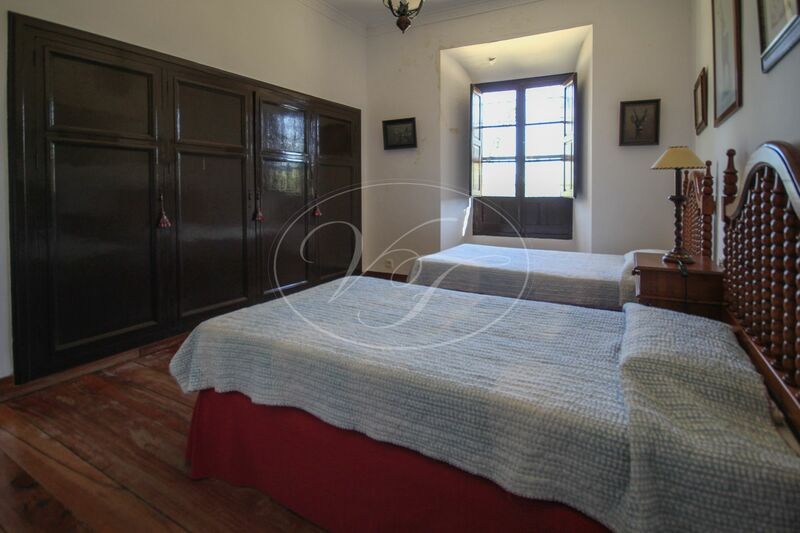 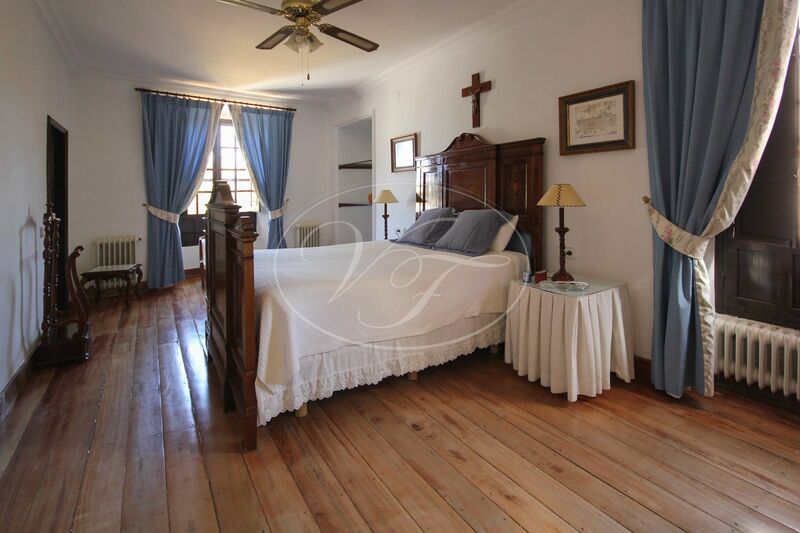 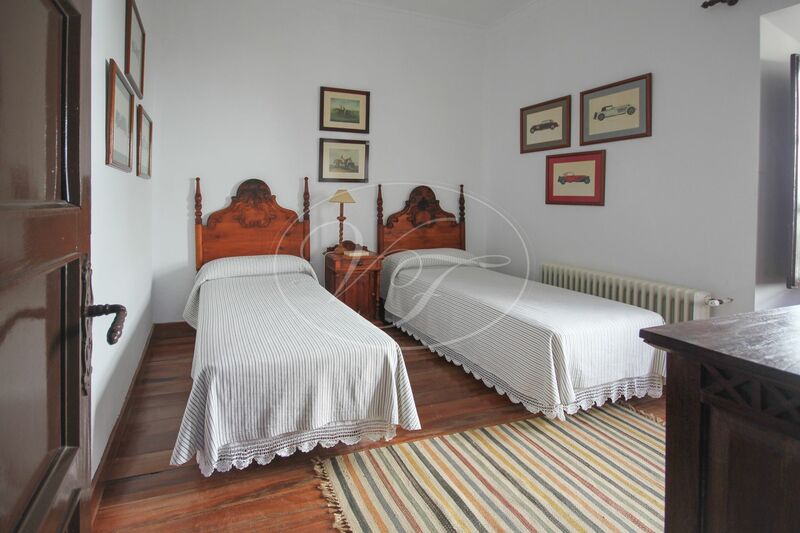 Boasts of features such as terracotta floors, antique doors, Triana (famous town in Seville) tiles, private chapel, charming patios and fountains, stables and stunning gardens. 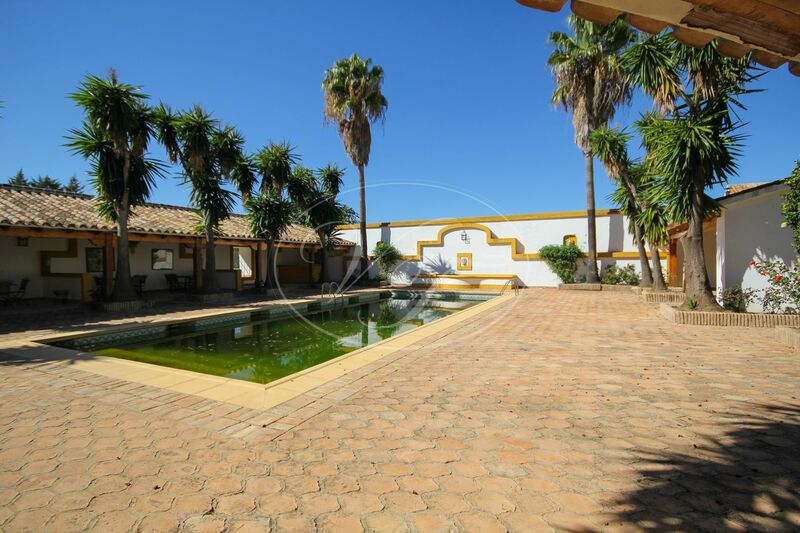 The over 2500 m2 built-up surface is composed of several buildings interlinked through three patios. 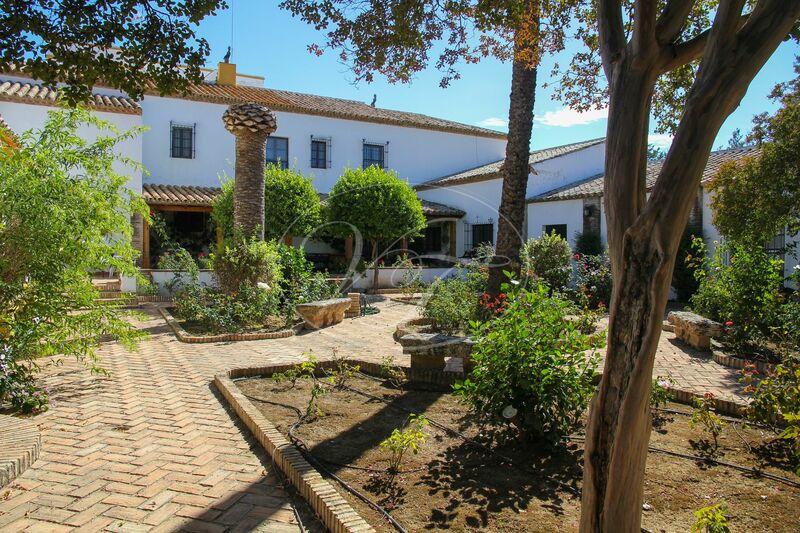 The private residence with its private patio is cleverly separated from the working farm part of the Cortijo, guaranteeing absolute privacy. 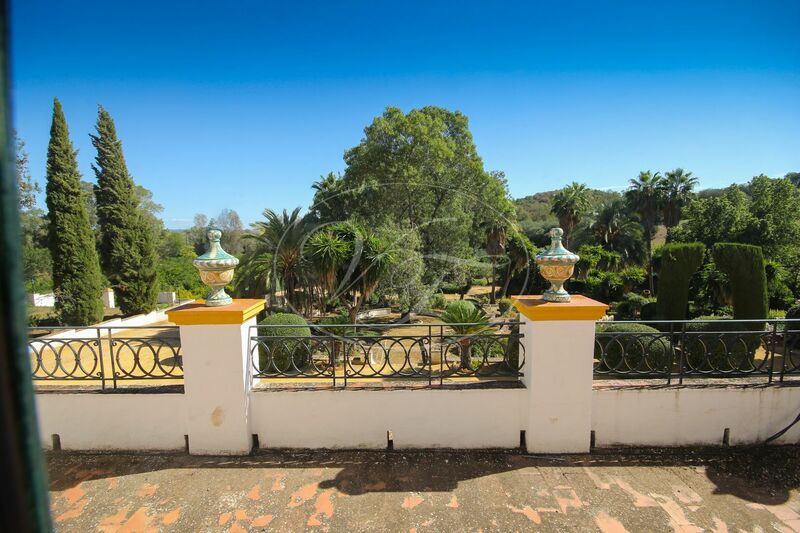 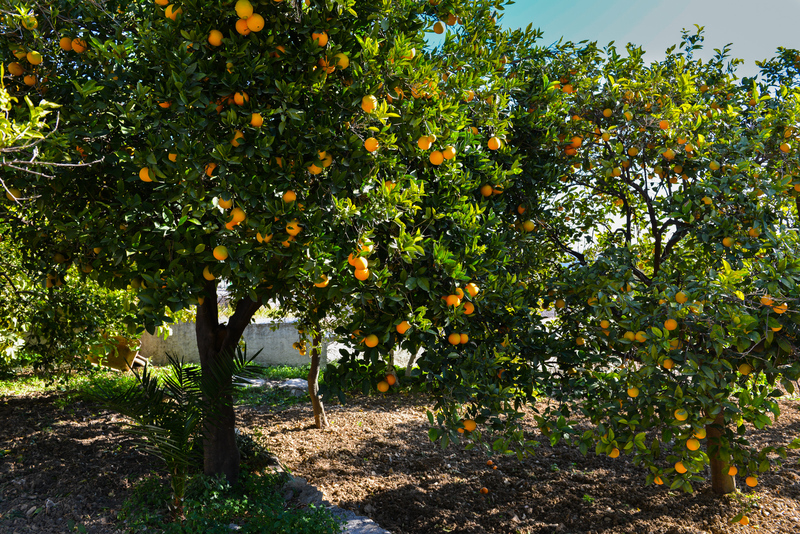 The estate is accessed through a 2.5 km partly gravel country road, leading to the main entrance with lush gardens and an orange grove. 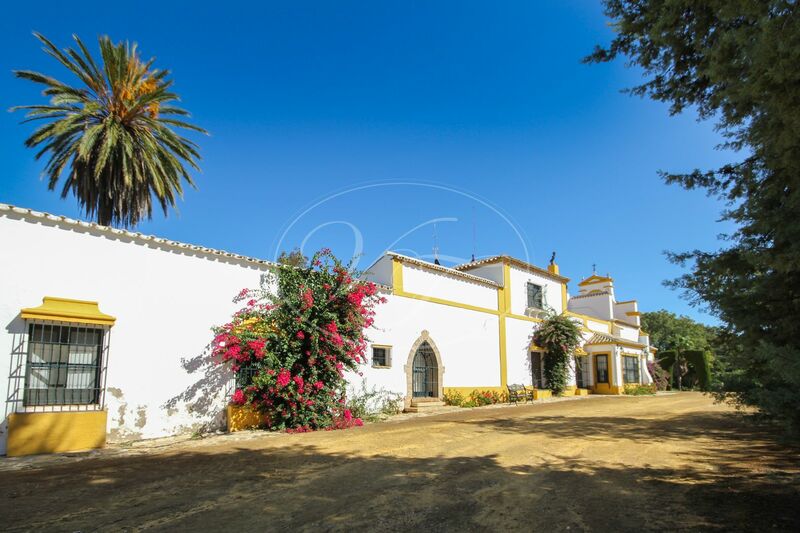 The nine-bedroom Cortijo has been built around an internal patio with gallery and counts with many sitting areas and terraces. 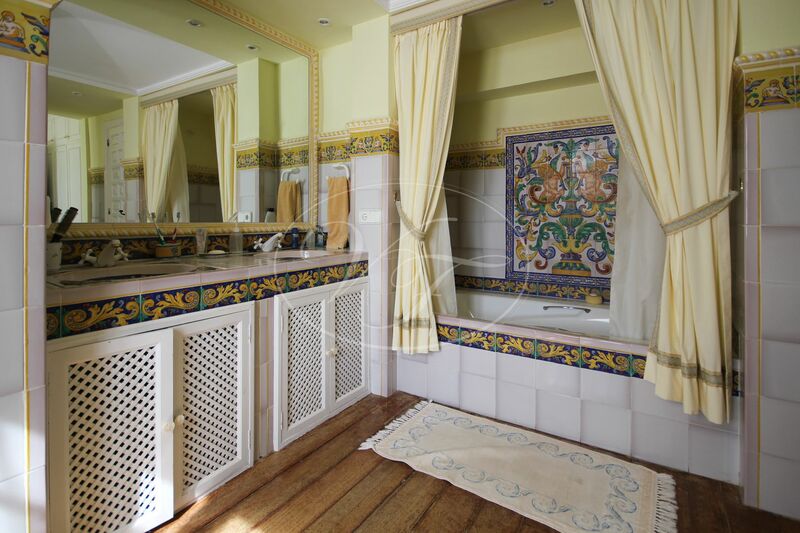 Lots of lovely details have been used in the restoration. 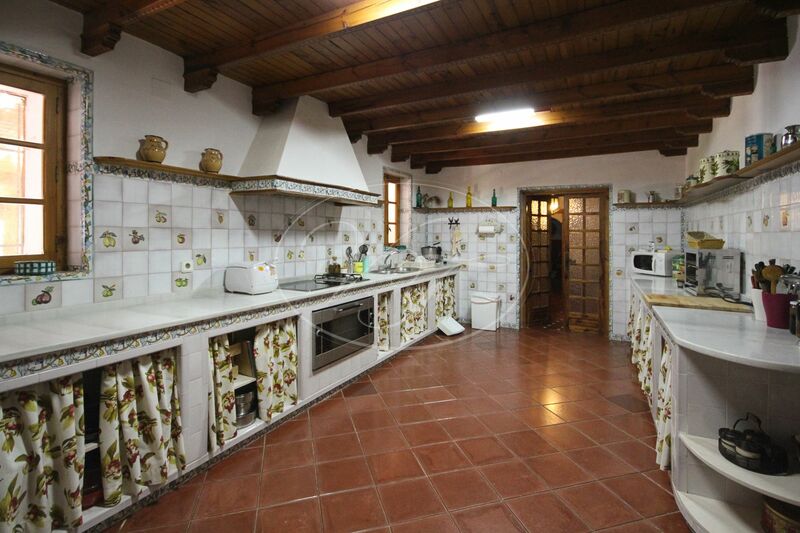 A small area (possibly for an extra two bedrooms and one bathroom) that still needs to be restored. 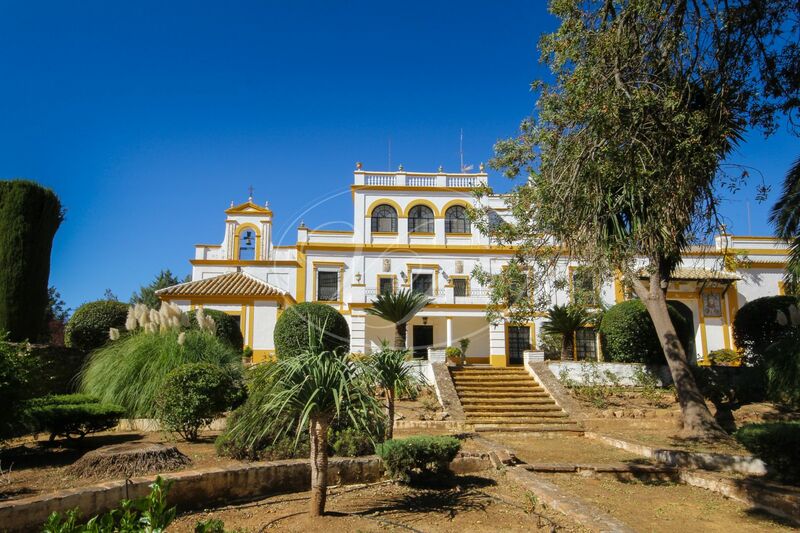 The estate is working as an olive farm and counts with a four bedroom and 3-bed house for the workers, large storage rooms and a barn. 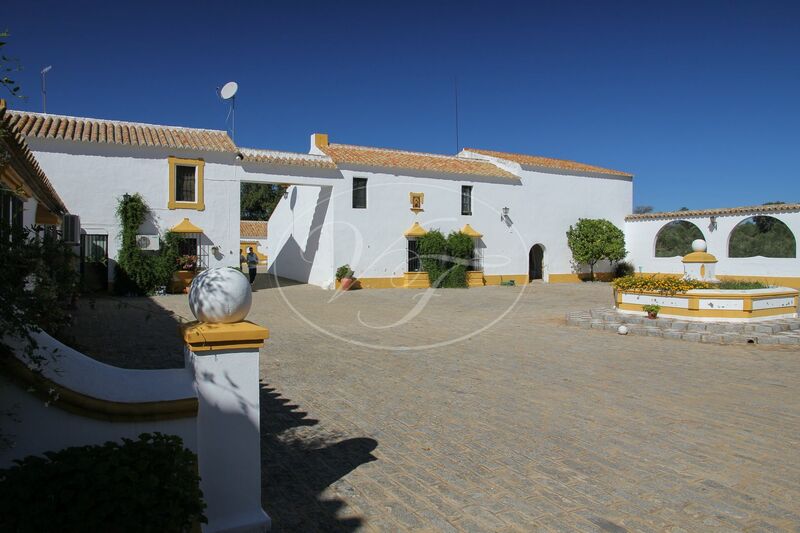 All accessed through the patio on the ‘farm side’ of the Cortijo. 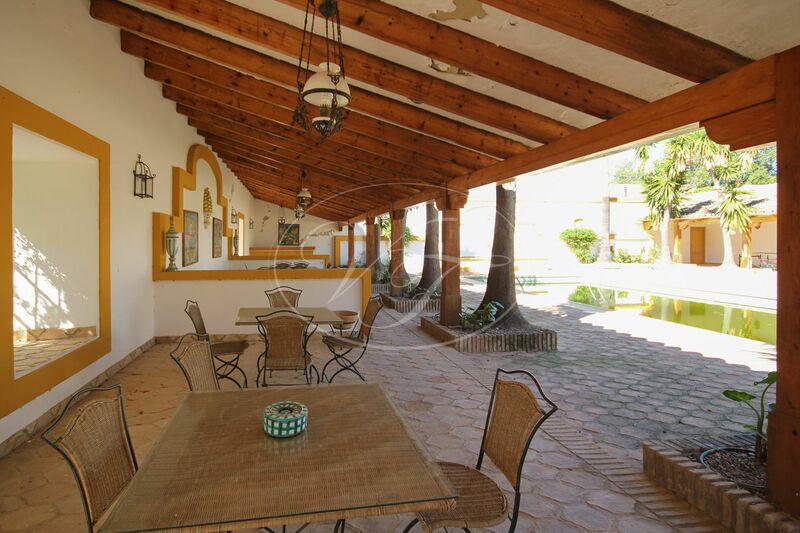 The next patio has stables for horses, tack room and another large storage room. 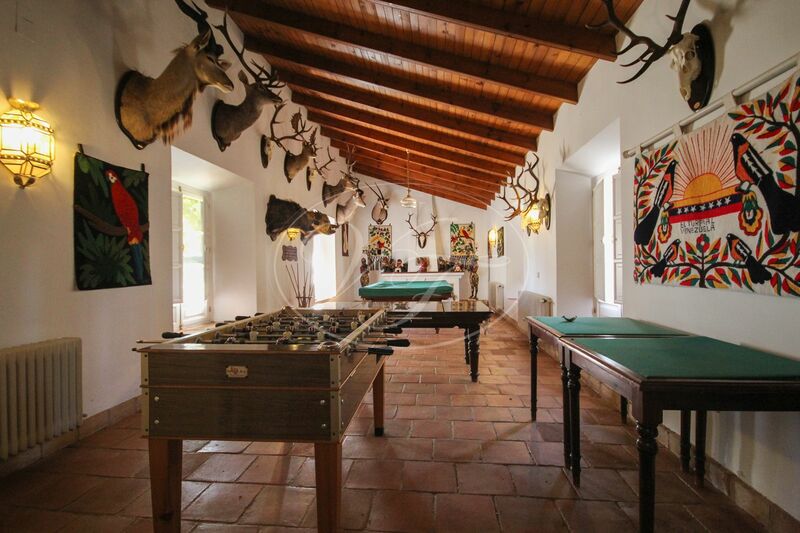 The land is as stunning as the house. 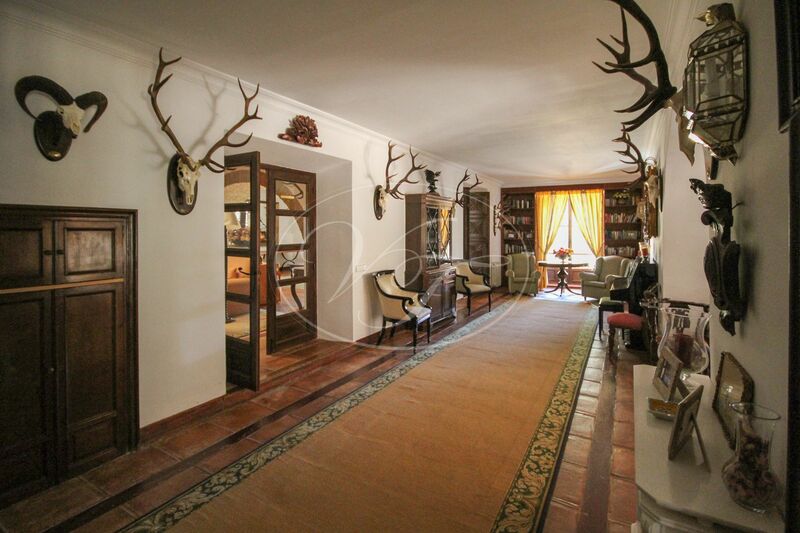 You will find beautiful mountainous areas with stunning wildlife like deer, partridges, rabbits and wild boar freely running around. 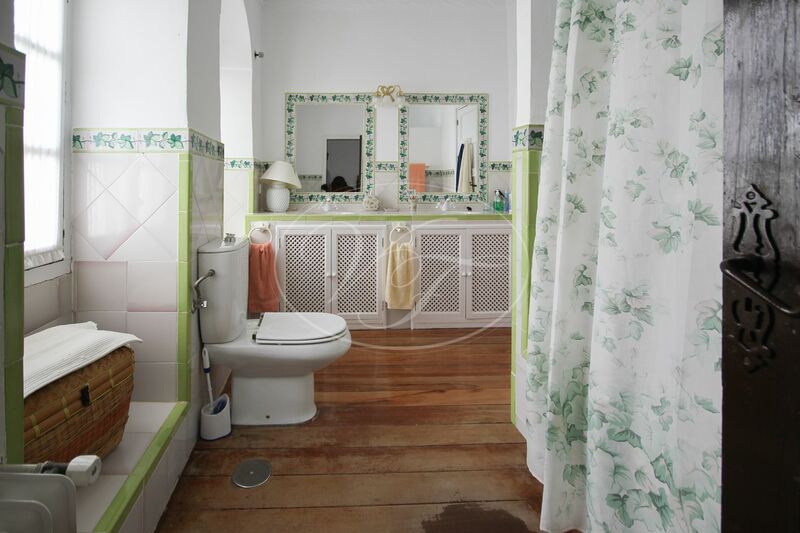 A river is bordering the land. 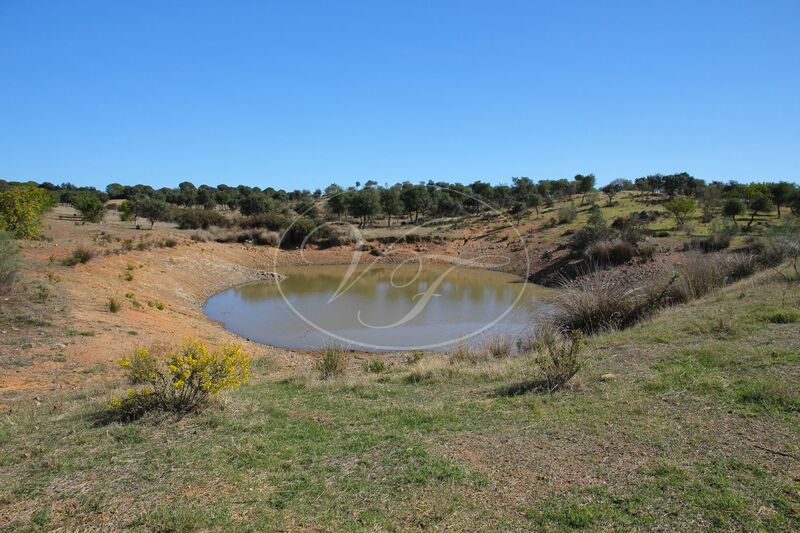 There are around 40 hectares of ecologically grown olives, grazing land and newly planted cork oak. 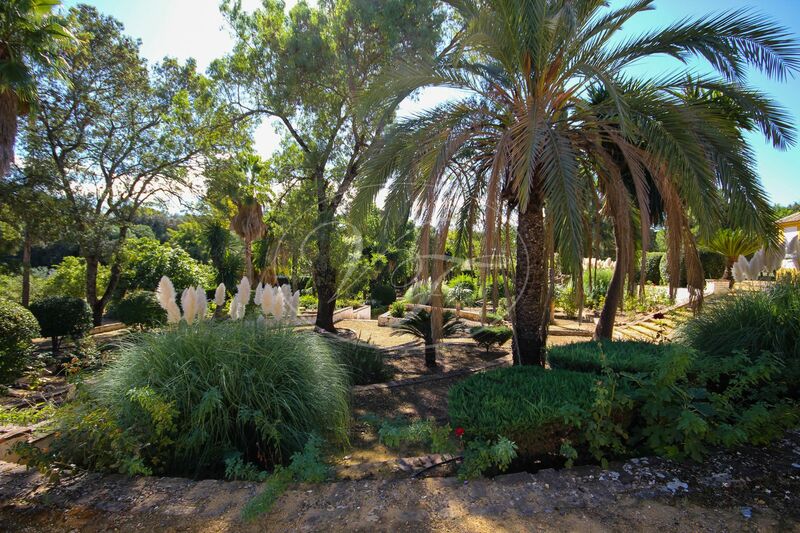 The farm has two water wells, a water reservoir and a pump system in place. 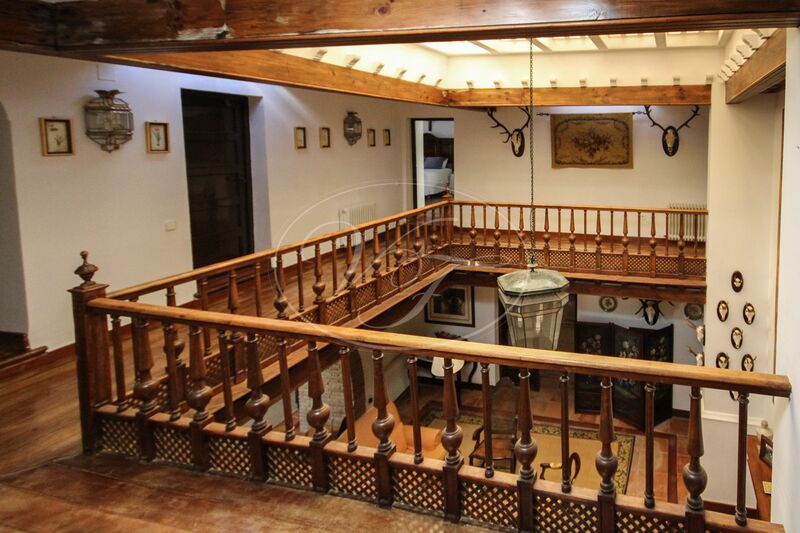 The house has its separate water supply. 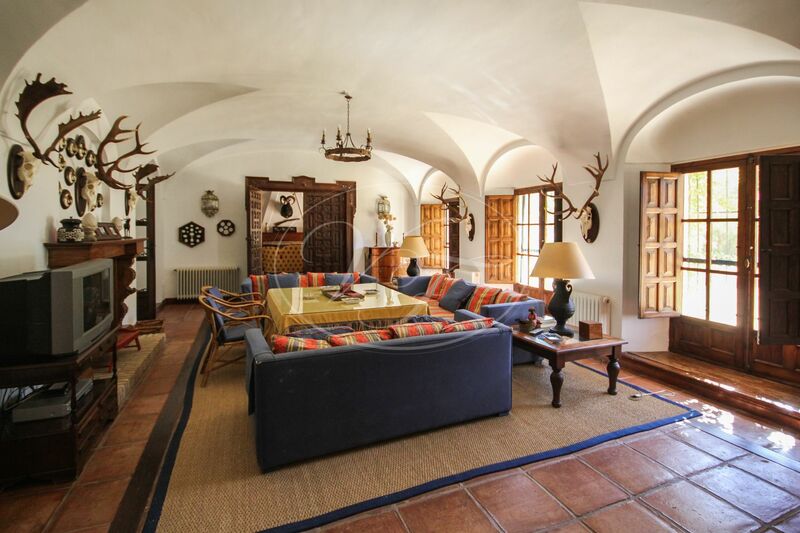 This extraordinary property is a truly spectacular residence, a trophy property! 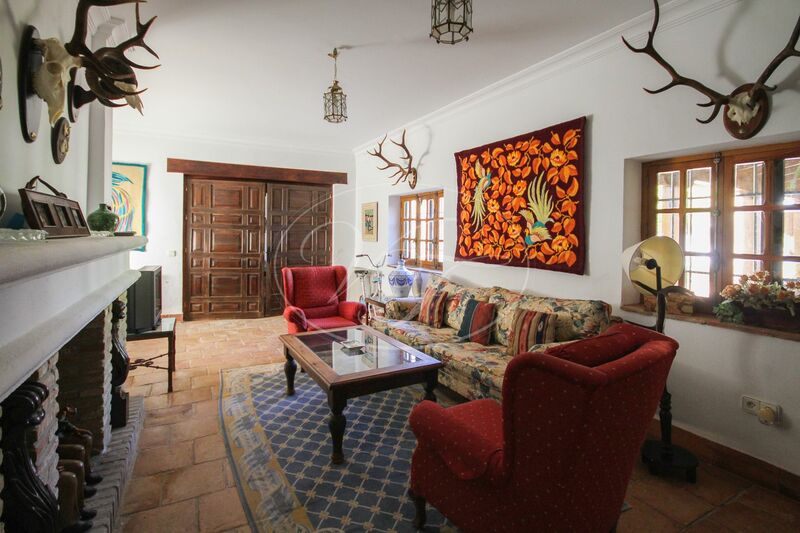 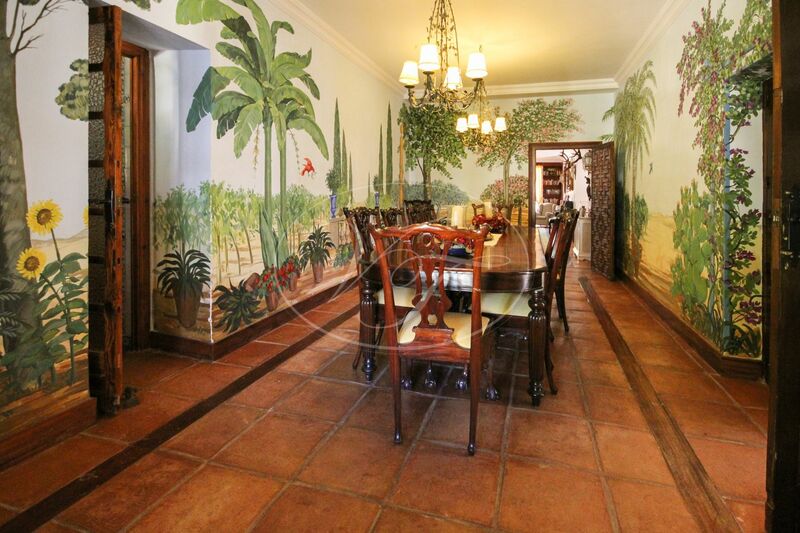 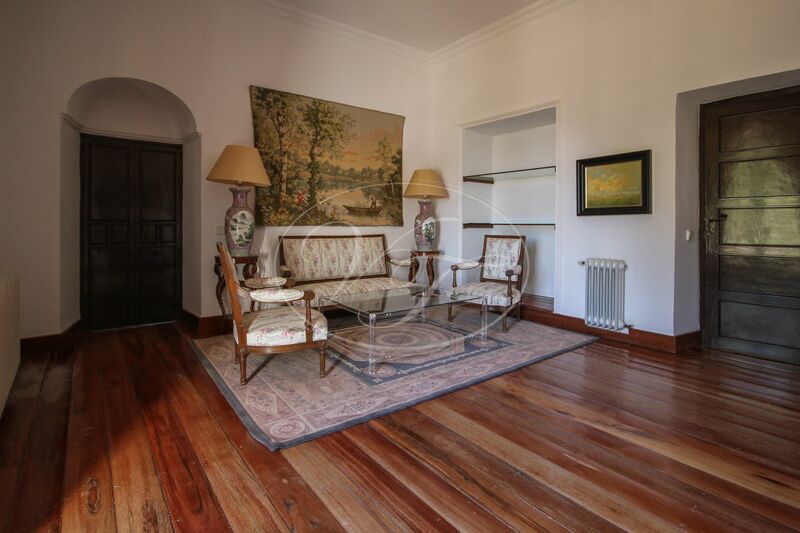 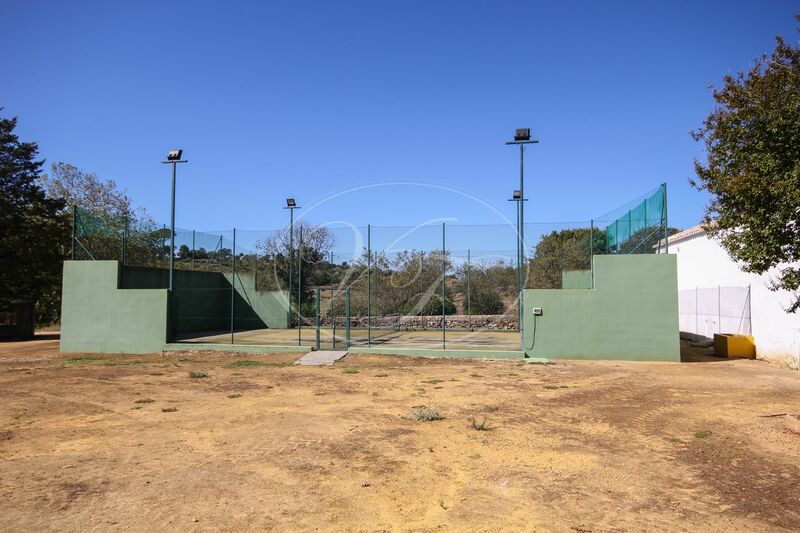 Please, send more information about ref 186-00361P, Estate in Seville or similar properties.